The menu embraced a seasonal fall flavor palette. The signature hors d’oeuvre was the oktoberfest edible spoon with sweet potato puree, andouille sausage and dried fruits presented on an edible cinnamon flavored spoon. The served dinner concluded with a miniature tiramisu indulgence. 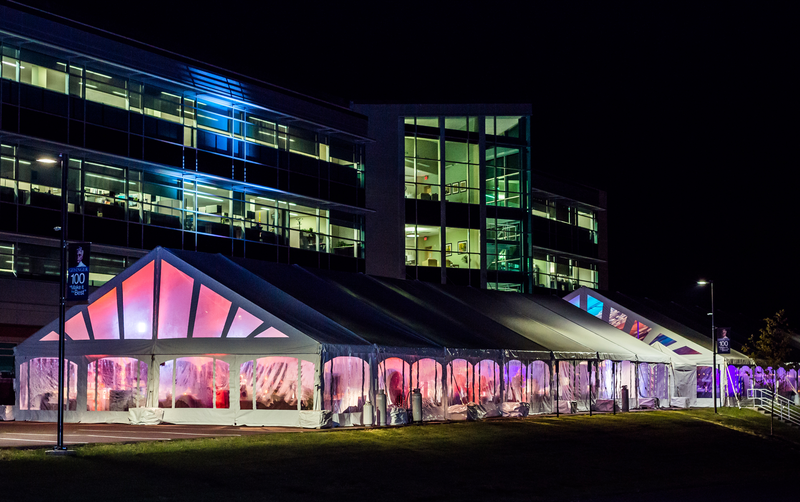 The theme for this prestigious gala was titled, “Always Lighting Up Tomorrow.” Illuminated elements throughout both the cocktail and main reception tents helped to display the theme of light. 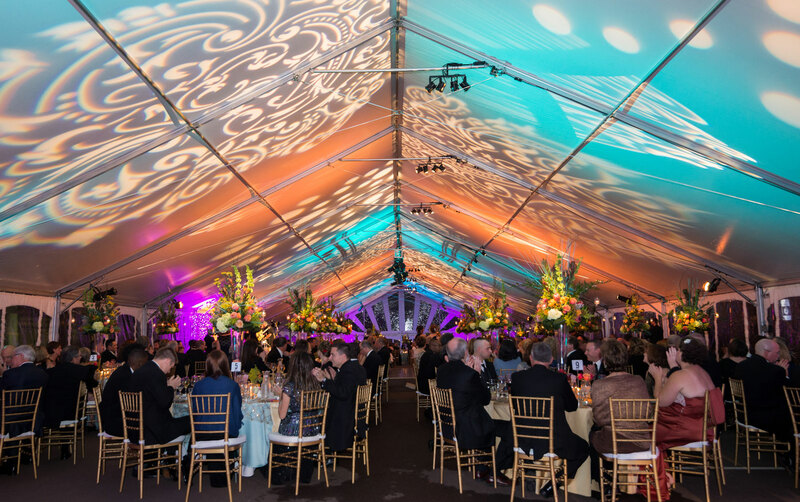 Large illuminated columns covered with designed cut out acrylic pieces shone a patterned lighting effect on the tent providing an elegant texture. 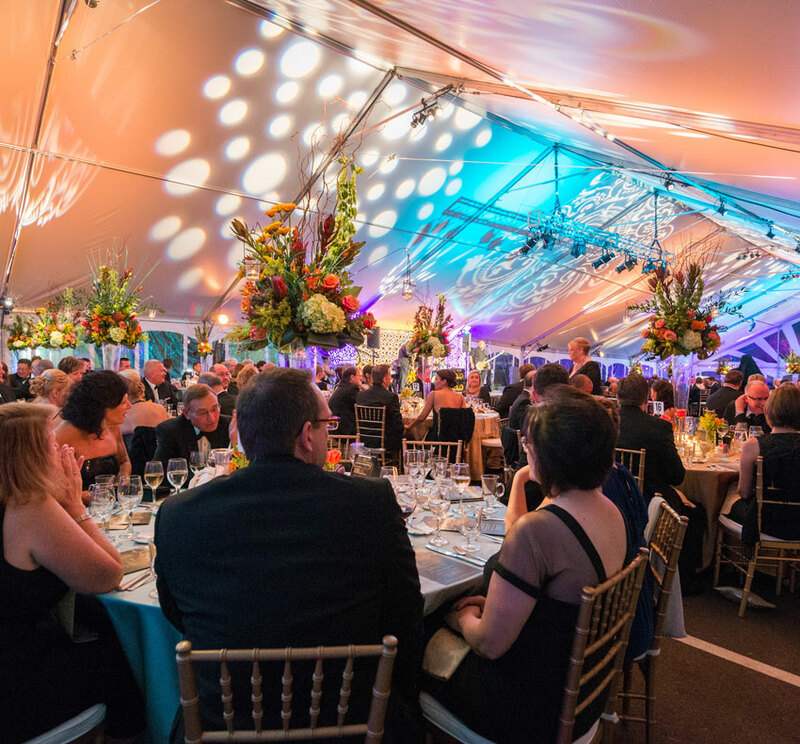 Linen colors of browns, golds, and blues were represented in the mix of regal linens throughout the tent. 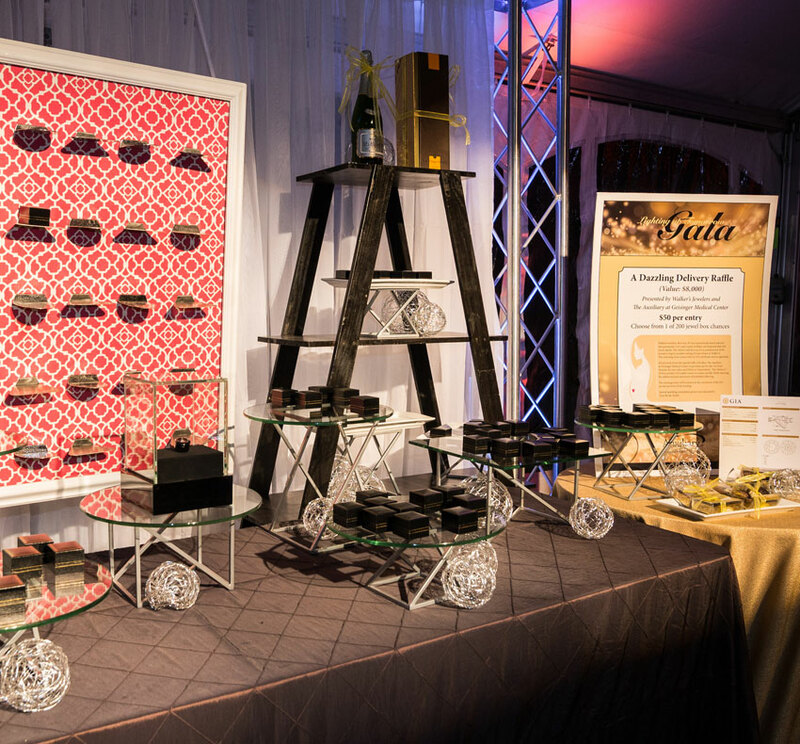 Pin spots highlighted guest seating tables to illuminate the beauty of the guests’ dinner experience.